Brighten up your home with these LED candle sets. The wax pillar construction features a effervescent finish to add to your existing decor. 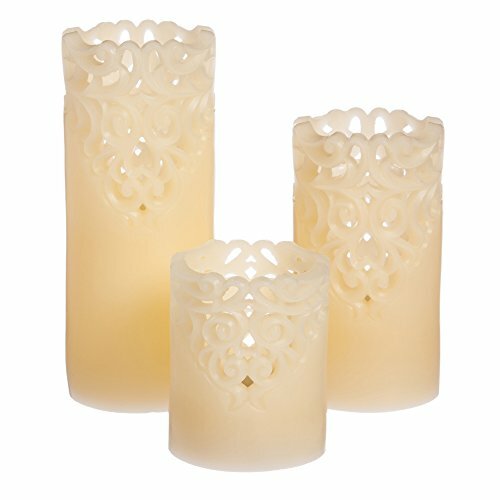 Each set includes 3 LED candles that require 3 AAA batteries to operate. Also included is a remote control to turn the candles off and on from afar. The candles range in size at 3, 4 and 5 inches tall and 3 inches wide.